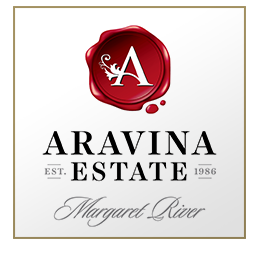 Nestled amongst the picturesque setting of expansive vineyards across the rolling hills, natural bushland and manicured gardens, Aravina Estate is one of Margaret River's finest wine producers in the region. Aravina Estate's team of Chefs source the finest local ingredients from farms and suppliers to develop a range of uniquely flavoursome dishes that showcase the quality range of meats, seafood, vegetables, fruits, cheeses and produce available in the Margaret River region. Short 6 minute drive to Yallingup, 15 minutes to Dunsborough and 25 minutes to the Busselton Jetty. Taste the award winning wines at cellar door, browse the WA Surf & sports car museum and shop for home wares before a glorious lunch on the terrace. Cellar Door open daily from 10am to 5pm.